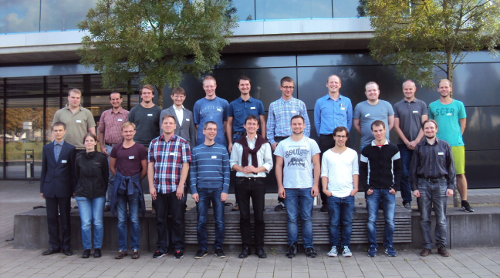 7th Linux Driver Verification Workshop was held in Paderborn, Germany on September 4-5 colocated with 2nd International Workshop on CPAchecker. The presentations at the workshop discussed various aspects of static verification, including speed and precision of verification, scalability, checked properties and production quality. During the workshop many important topics were raised and further action items were identified. The talks were given by team of Linux Verification Center, ISPRAS (Russia), LMU Munich, TU Darmstadt, University of Paderborn. The program of the workshop and descriptions of talks are available here.